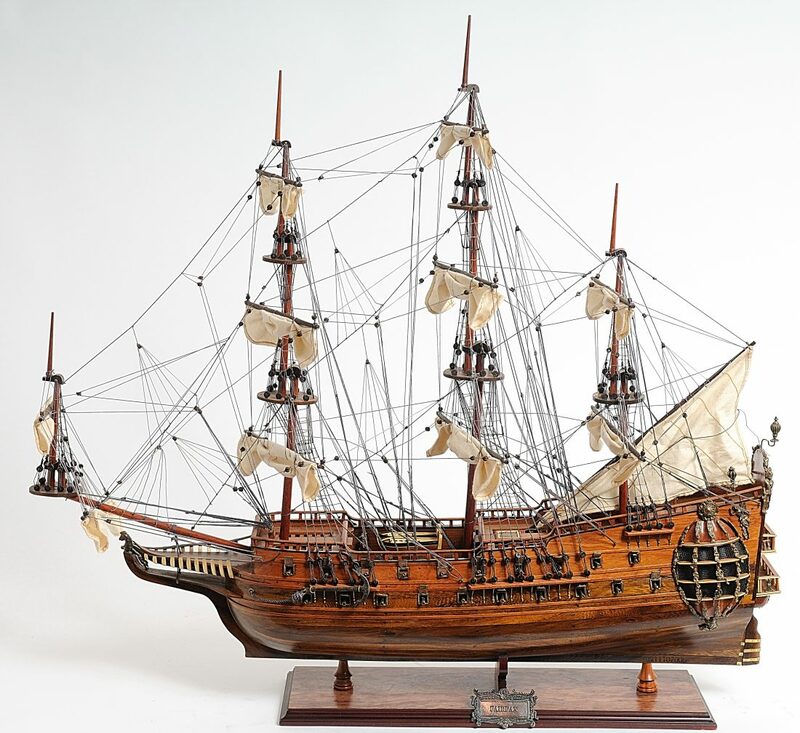 Model ships are also another worthwhile example to consider owing to their popularity in the model building world. Unlike most models, model ships can be a bit complex and challenging thus it is wise to settle for something simpler when you are more of a newbie in model building. Tamiya’s 1/700 is a good example for starters. Let’s begin by looking at the necessary tools you need before you embark on building one. Exacto knife: This is a valuable tool in the building of any model. It is basically what you use to get rid of seamlines and in some more general cutting. Plastic clippers: These come in handy when you need to remove the plastic parts from the sprues. In general terms, they help you to save time by allowing you to make cuts closer to the actual part. Tweezers: Tweezers make sure you work with small parts as comfortable as possible. They allow you to place and hold small parts efficiently. Straight edge razor blade: These can be used as substitutes for the Exacto knife. They are basically there to allow you cut off plastic and scraping of the seam lines. Nail Files: These are for removal of seams and also offer a big hand in sanding. Liquid glues: These come in handy in allowing you to assemble the parts together in a neat way. They offer you better control and don’t give you problems relating to applying excess glue. Primer: Upon assembling the parts together, you will notice that small gaps on the model can be a big problem. This is where primers or gap fillers come in. One of the most popular gap fillers around is the Tamya gap filler. An airbrush offers a good helping hand but to be honest, it isn’t an essential component of the kit as basic brushes can do the job pretty well. But in the case that you want to make statement about your seriousness, it can be a good addition to the kit. The instruction manual is your compass throughout the building process and make sure you go through it enough times to make the building process as easy as possible. Be meticulous and follow the details to the letter as this can make a huge difference in the complexity of the task and overall look. Depending on the design, some kits take a more holistic approach to the building process while as others utilize building blocks or subassemblies to get the ship built. The key to effective building is in following the manual instructions to make sure every tiny detail is in its rightful place. Painting is best done after the overall structure has been built. Other modelers prefer having the painting done on subassemblies which are then joined together afterwards. This is a great technique but sometimes it’s great to concentrate on one aspect of the building process for the best possible results. Another factor that also affects your choice of technique is the type of ship you are building. Some are easier to paint as a whole where as others are easier when you employ the subassembly painting approach. Painting can be the fine line separating success from failure when building model ship. The ship can have a few constructional flaws but these can easily be overlooked if the painting is outstanding. If you are new in this discipline, always make it appoint to have the best brushes and take care of them as they affect the quality of the painting in a substantial way. Acrylic paints offer a very good option if you are wondering what the best paints can be. In addition to basic painting, make sure you learn and utilize a few weathering techniques to raise the bar of you ships quality. A good example of weathering techniques is the pre-shading technique. Pre shading is just fancy term that reefs to painting your model with a dark color followed by misting the actual color over the dark color. This allows your model to have highlights and shadows that enhance the look of the ship, which is something difficult to have when you go for a mono colored scheme. Ship rigging is made easy with stretched sprue. In addition stretched sprue can provide an inexpensive option. Stretched sprue is stretchable in multiple widths according to your preference. Perhaps you are new to this, it is basically a process that involves hovering the sprue kit over a flame to soften it. Upon softening, the sprue is stretched from both ends and this leaves you with a thread size length of plastic you can easily manipulate in terms of length and size. Furthermore, liquid glue can easily be applied if there is the need to attach the plastic to other parts. Crewmen give a lot of authenticity to the overall look of the ship especially when it comes to 1/250th scale ships. There is a French company known as L’Arsenal that manufactures and supplies a great line of crewmen known as resin crewmen. You can look this up on their website if you are thinking of incorporating these in your model. This often represents the final step in building most models. Some kits package include them as part of the unit while as others may require you to source them separately. It is also worth noting that you may need to check on these before the decision to buy.